We all knew Cardi B wasn’t really short for Cardigan Buttons or Cardiff Bay, however little did we know it would be so majestically magical. Friends, forget all you knew about the 25-year-old hip hop star and meet… Belcalis Almanzar. Oooo. Anyone else just get a shiver? Seriously, this name feels beautiful to say and sounds mysterious as heck. Indeed, nobody can get over how much it sounds like a spell or whimsical character from the world of Harry Potter. Like, seriously, she could open a music shop on Diagon Alley right now and the sign would fit right in. Or she could rock up as the new Defence Against the Dark Arts teacher and we would be quite rightly suspicious of any potential Death Eater connections. One baffled person said, ‘Going through class trying to figure out if Belcalis Almanzar is a spell or a person’ while another commented, ‘Sayin Cardi B real name sound like I’m casting a spell… Belcalis Almanzar’. Thomas Keamon tweeted: ‘I just learned today that Cardi B’s real name is belcalis almanzar. I said that sh*t out loud and my furniture started floating’. In reality his account blew up. Look at those Likes! The question remains: Which Hogwarts house would Belcalis be in? We know she is brave and confident, so she could potentially be sorted in Gryffindor. However, that serpent green outfit she wore during a recent interview with Jimmy Fallon just seemed to scream Slytherin. 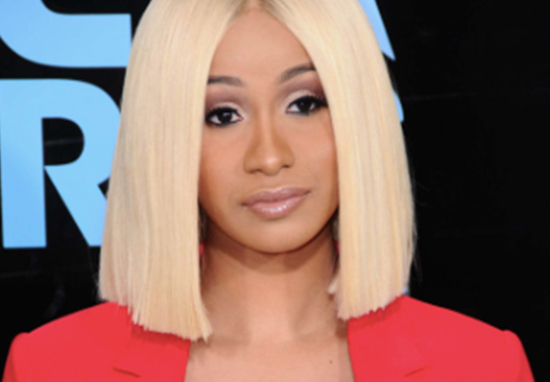 "Just learned Cardi B real name is “Belcalis Almanzar" and my toaster started floating"
Cardi B has spoken out about her unusual name before. However, with a rapidly growing fanbase, people are falling under its seductive – and slightly hilarious – spell. She then added how the meaning behind the B may change dramatically, from one day to the next, ‘depending on the day, beautiful or a bully’. Right, so it appears the jury is indeed still out on whether she is a Gryffindor or a Slytherin. But wasn’t that exactly the case for a certain boy wizard we all know and love? And – despite facing many perilous situations – he turned out just great. On Thursday nights we play pretty much whatever, we eat $1 pizza, we drink $3.50 jagerbombs and $2.75 draft beer, and we shoot money out of a confetti cannon. the culture, I love it. Things are going really great for Cardi B/Belcalis Almanzar right now, both in terms of her music career and her love life. In October, her partner Offset proposed to her at Power 99’s 2017 Powerhouse concert in Philadelphia. Jesus Christ I’m so emotional, @offsetyrn I loveee you so much. Thank you for seeing the potential in me since you met me. For giving me advice molding me and loving me .Your such a amazing man to me your family ,friends ,kids and you are extremely talented. I can’t wait to spend FOREVAAAA with you. Lets make a lot shmoney and love together. You just know with some seriously spooky curses up her sleeve, Offset will be working extra hard to keep his wife-to-be happy.